Founded twenty years ago with the vocation of promoting the repertory specific to string bass instruments, the ensemble Les Basses Réunies brings together around Bruno Cocset a team stimulated by the search for a sonic identity, the twin exploration of repertory and organology, the narrative qualities and eloquence of the musical discourse, and a passion for the articulation, the grain, the colour and a certain exaltation of sound. The luthier and instrument maker Charles Riché is the faithful companion of this quest that links instrument, musician and composer. Many noted Baroque music venues have welcomed concerts from Bruno Cocset and Les Basses Réunies, in France – including the Académie Bach d’Arques-la-Bataille, La Folle Journée de Nantes, and the Saintes, Sablé-sur-Sarthe and Ambronay festivals – and abroad, where they have appeared in Belgium, Spain, Russia, the Czech Republic, Romania, Iceland, Portugal, Québec, Luxembourg, the Netherlands and Italy, among others. The discography of Les Basses Réunies, mostly released on the Alpha label and inevitably intersecting with that of Bruno Cocset, has received the warmest tributes from the musical press, whether it be the sonatas of Vivaldi, Barrière, Geminiani and Boccherini, the canzonas of Frescobaldi, the Bach sonatas for viola da gamba, or Tobias Hume’s pieces for lyra viols in collaboration with the gambist Guido Balestracci. A second volume of sonatas by Barrière has just been released (Alpha, 2015) and CELLO STORIES (Alpha 2016) in collaboration with the musiclogist Marc Vanscheeuwijck. 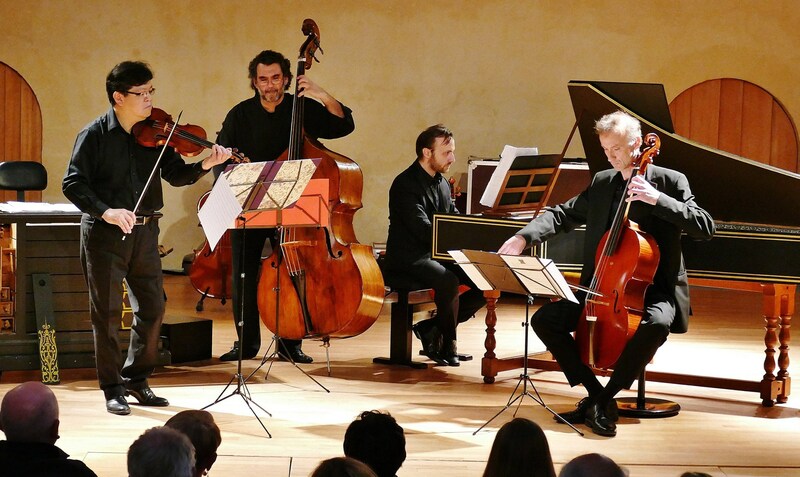 They have also recorded La nascita del violoncello (Gabrielli), Fantasias (Purcell), Caprices & sonates (Dall’Abaco) and Vivaldi concertos for the AgOgique label.